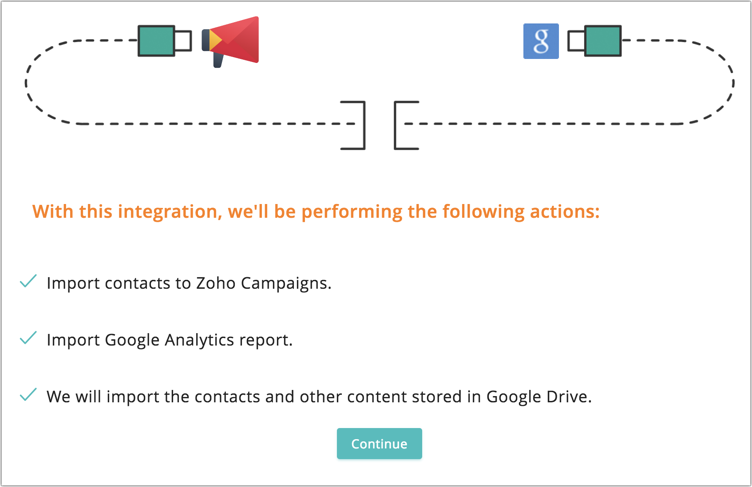 Zoho Campaigns integrates with Google and Google Drive. You can easily import files and data from your Google account. 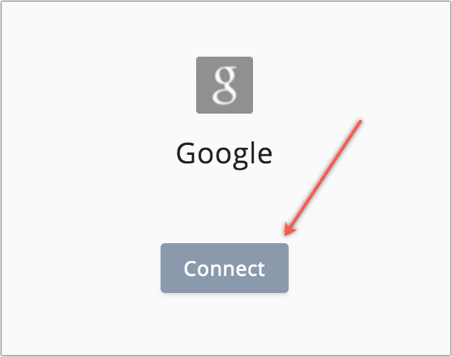 Mouse over Google and click Connect. 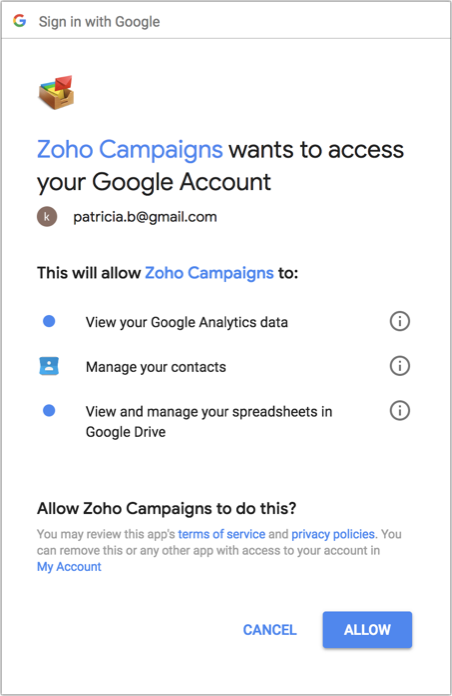 Import contacts to Zoho Campaigns. We will import the contacts and other content stored in Google Drive. 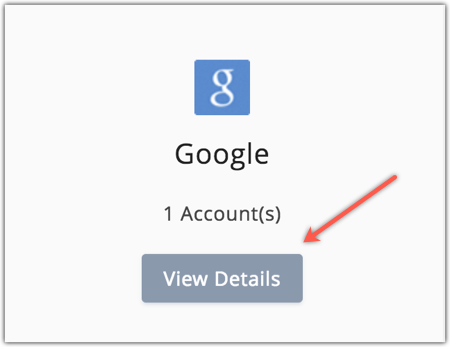 Enter your Google credentials and click Allow. 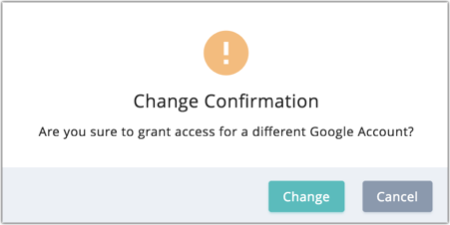 What happens if I deny/change my Google account integration? You can't import your contacts from Google. You can't import Google Analytics reports. Mouse over Google and click View Details. Click Change button available beside the account name. Click Change, log in to another account and allow access. Hover on Google Drive and click View Details. We will import contacts and other files stored in Google Drive. 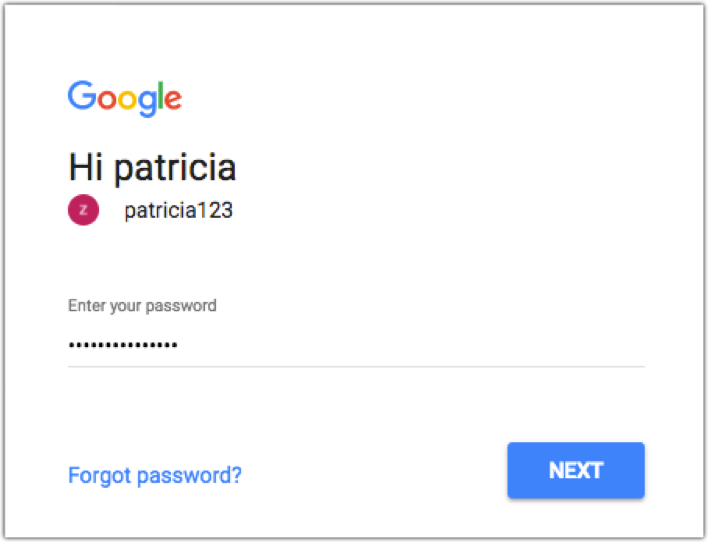 Login to your Google Drive account.